Watch our introduction to the Songmaker Kit GarageBand Edition. Songmaker Kit GarageBand Edition features a custom integration with both GarageBand and Logic Pro X.
GarageBand is the world’s most popular DAW, and Logic Pro is indispensable to professional musicians worldwide. For the first time both are deeply integrated with a system of MIDI controllers: the Songmaker Kit. Control all the features of GarageBand and Logic directly from the Seaboard Block, Lightpad Block, and Loop Block. The Songmaker Kit also comes with a suite of high-powered supporting software including Equator. Learn more in the film above! Navigate your tracks, mix volume, control effects and more in GarageBand with the Lightpad and Loop Block. Start creating in minutes: step-by-step tutorials (watch them below) and project templates will help you get started in minutes. 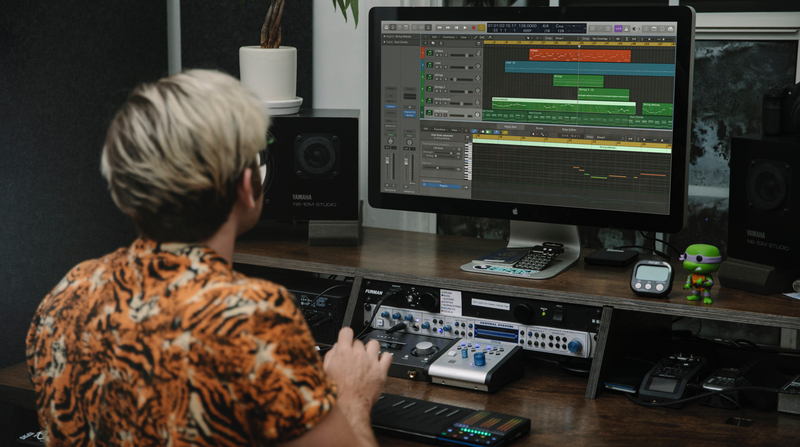 Compose and create easily: a totally seamless integration puts everything you need to make music — from sounds to editing tools — right at your fingertips. Make tracks faster without breaking your flow. Be more expressive: play hundreds of GarageBand sounds on the touch-responsive 5D surfaces of the Lightpad Block and Seaboard Block. Perform live: with this plug-and-play controller setup, you can perform a stunning live set with just your MacBook, Songmaker Kit and GarageBand or Logic. A new series of Songmaker Kit tutorials will guide you every step of the way. 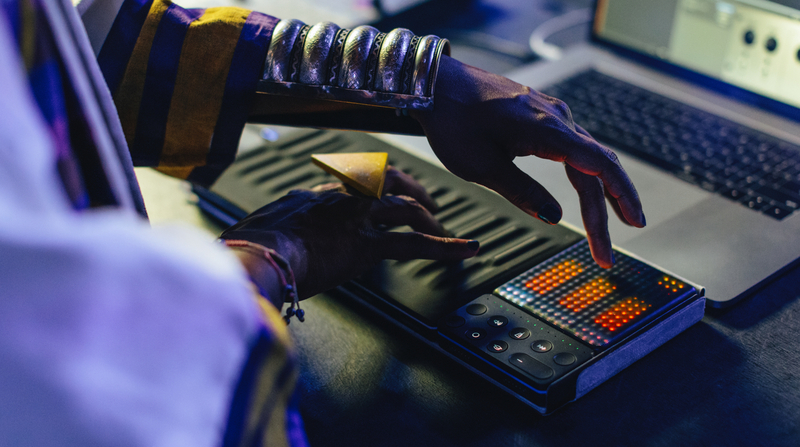 ROLI's Ruben Dax shows you how to get started, control GarageBand with BLOCKS, create your first beat, build your song and design your sound. So from the moment of unboxing your Songmaker Kit, you're on your way to creating a great track. Follow Sanjay C on YouYube and Instagram for more tutorials, reviews and advice. Get your Songmaker Kit GarageBand Edition today from roli.com and apple.com.